Pumpkin lattes may be getting cold as the Christmas season fast approaches, but that doesn't mean we're all sick of the trend. 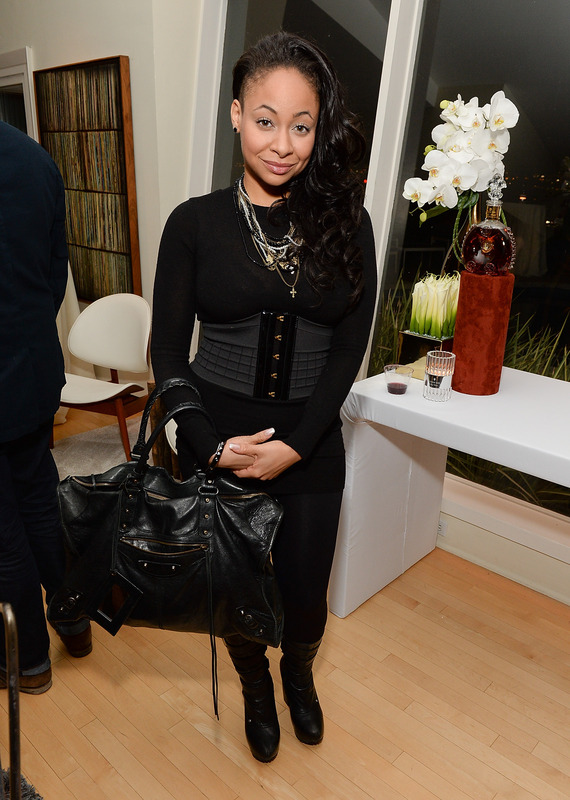 Case in point, Raven Symone, who just dyed her hair orange. I'm not saying she was definitely inspired by the flavor we love to love or love to hate... OK, I am saying that. And so did she, in the caption for the Instagram post debuting the new 'do: "Yes, peach for the holidays... #unicorn #5thelement #holidaypumpkin." The proof is in the (pumpkin flavored) pudding! The former Disney star has been known to mix up her hair color on occasion, most recently with streaky purple locks that killed, but the orange is a particularly fabulous look for her. The shade plays well off of Symone's dark complexion and is especially effective due to the short, partially shaved bob she's currently rocking. I feel like this pumpkin-y color might be a bit too much on longer hair, but with her edgy, abbreviated cut it's perfect. I admire people who can go all-out with their hair color because I'm personally afraid of damaging my own strands and so I never experiment with dye. Guess I'll just have to keep living vicariously through Symone's Instagram feed!